INTERWOVEN - Mural, Downtown San Antonio, TX. 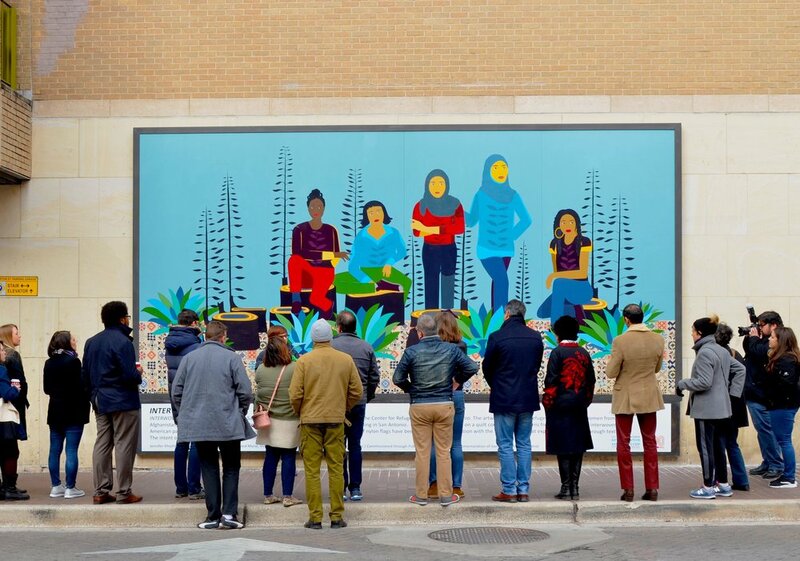 Five strong and united refugee and immigrant women, often working as seamstresses, who now call San Antonio their home. Afghanistan, Turkey, Honduras, Democratic Republic of Congo, and Haiti - our community grows richer with you.